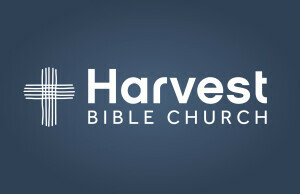 to join us this Sunday for a worship service at Harvest (9:00 or 11:00 am). We think you'll discover that Harvest is a place where we love God, we love each other, and we love you! Upon entering the building, the first thing you'll notice is that there is a friendly face greeting you at the door. This person will be happy to direct you to our worship area, or if you have children, to the appropriate class for them. You'll notice that we have fresh coffee brewing and good things to eat in the lobby area. Please help yourself! Ushers are on hand to point the way to the worship area, restrooms, or anywhere else you're headed. Be sure to pick up some information about Harvest from the information desk. You'll find the atmosphere festive and welcoming, a lot like a family that has come together for a celebration! The worship services kick off with about 30 minutes of singing and corporate worship, with lyrics and scripture projected up front to make them easier to follow. Our corporate worship is considered a "blend" because we sing contemporary worship songs, but we also love many of the older hymns of the faith. Our church loves to sing and we invite you to participate as well. Our pastor will bring a message that is right out of the Bible. Our sermons are a blend of Biblical teaching and practical application. Our desire is that you be encouraged and impacted by the truth of God's Word. If you can stay around for a little while after the service is over, please do so. Our pastor loves to meet those who are guests with us. If you stop by the information desk on your way out, we have a gift for you. We hope that you'll take this initial step and come give us a visit. After all, that's what most of us did when we were where you are right now, and we liked it so much that we don't want to leave! Did Jesus Really Rise from the Tomb?